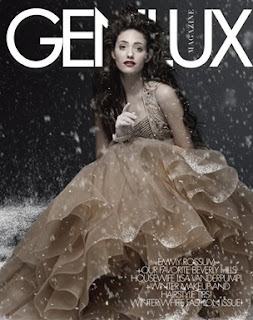 Amanda Eliasch, the British tastemaker and très cosmopolitan fashion editor at L.A.’s GENLUX Magazine gives us a taste of London Fashion Week Fall-Winter 2011. The video features gorgeous collections by Jasper Conran, Vivienne Westwood, Child of the Jago, and Emilia Wickstead. For more on London Fashion Week and Amanda Eliasch, visit her blog at www.amandaeliasch.blogspot.com or follow her on Twitter at www.twitter.com/amandaeliasch. Alan Amron, the original inventor of sticky notes -- known throughout the world today as “Post-it Notes” -- is ready to set the record straight. 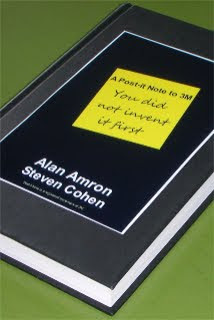 Amron has signed with EKC to promote and consult for his upcoming book, “A Post-It Note to 3M: You did not invent it first” – a story of innovative genius, corporate might, and a personal struggle for justice. The tell-all account is backed by publicly available court records detailing the invention’s time line, which together will propel Amron’s story to trump 3M’s marketing myth. 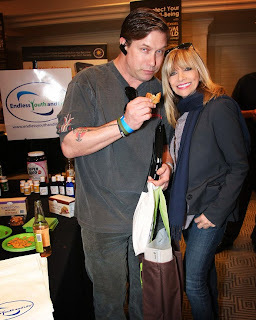 Endless Youth and Life recently participated in RedCarpetsLA's Grammy gifting event where the spotlight was shining on EYL's Super Food product line featuring multi-herb protein crackers and cookies. Hollywood's A-list could not get enough of these treats as even Steven Baldwin had to come back for seconds! Client, Alyssa Anjelica James, will be performing at The Comedy Store located in the heart of Hollywood tonight at 7:45PM. This is one act you do not want to miss! EKC warmly welcomes, Beast Mode Energy, a groundbreaking energy drink that has emerged into the market. With all natural ingredients, in contrast to other energy drinks, Beast Mode fuels strength, endurance, and an overall aggressive edge. On February 11th, Endless Youth and Life will be participating in the Red Carpet Celebrity Gift Suites 2011 Grammy Awards Style Lounge, which will be held at the London West Hollywood Hotel. With a coveted product line, EYAL is reconstructing the health, beauty, and wellness industry, with their innovative formulas and solutions. EKC client, Amanda Eliasch, a creative inspiration to all! With a love of the arts, Amanda incorporates her poetry and photography skills to make music come alive. Transcending norms, Eliasch, creates breathtakingly beautiful writings, art, music, and designs. Currently, in the United States, Eliasch has partnered with the design great, Martyn Lawrence-Bullard, and is transforming a Beverly Hills home into a masterpiece.